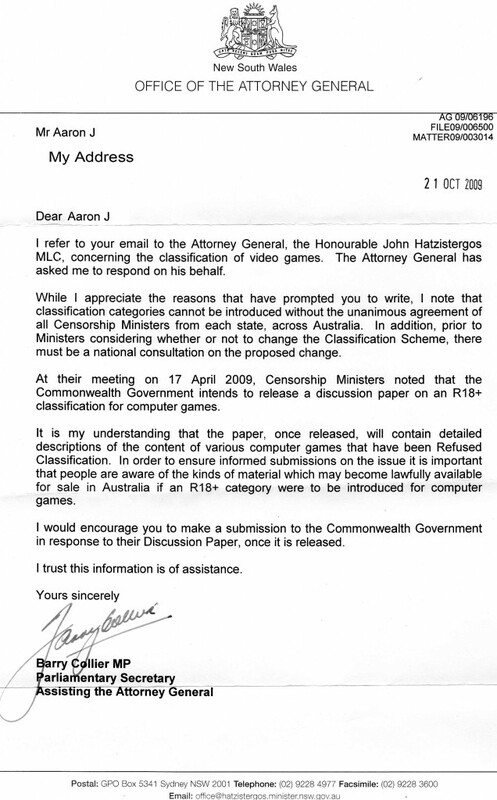 We wrote an E-mail to NSW Attorney-General, John Hatzistergos. His reply can be read below . We encourage everyone to write their own letter to their Attorney-General. If you would like a reply to your letter be sure to include you postal address.